That's a good pace for some of us that have been running, good job! How did it feel? You bet you better take it!! Great job! 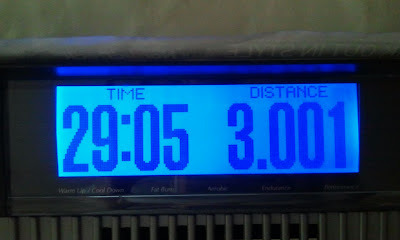 So funny...I just did my first 30-minute run this afternoon. We were running together virtually. I'm off to have a glass of wine to celebrate--you should too! not EVEN slow in my book. you dominated. yay!!! I bet millie missed you! Nice! Nothing wrong with that! Not slow at all. Congrats. Way to go! You did it! Thats my regular pace girl! Glad to hear you are back.